Pazzo is a beautifully designed wine bar in the Old Town of Tallinn. The kind of place I could imagine to be my neighborhood hangout if I lived in the city. My Territoriet in Tallinn, if you want. Serving (mostly) natural wines from small producers in Italy, which fits my taste well, and simple tapas-style bar snacks. 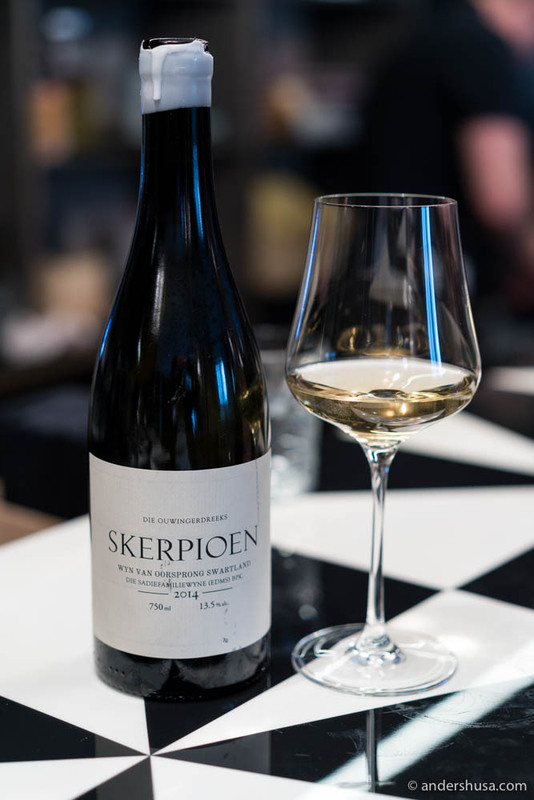 Wines at Pazzo are selected by sommelier Kristjan Peäske, who also co-owns the acclaimed restaurant Leib, and Ketri Leis, who has been the best sommelier in Estonia for the last three consecutive years. Pazzo means crazy, wild, and delirious in Italian – and I can only assume those are the feelings they aim to arouse if you visit the watering hole. 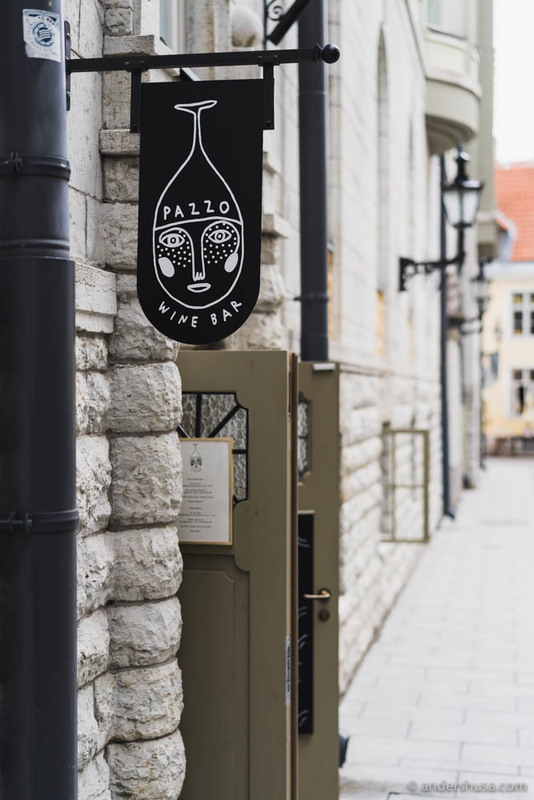 I visited Pazzo wine bar during my travel to Tallinn this summer. Kristjan Peäske had agreed to meet up for a chat and to explain more about the concept and why they expanded their already successful restaurant in the Old Town with a wine bar. 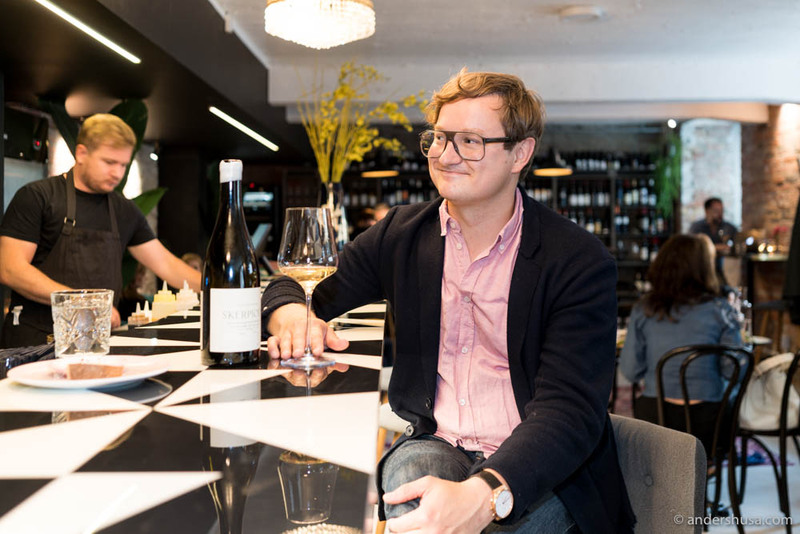 As is often the case with this kind of places, Peäske, the head chef Janno Lepik, and head sommelier and manager Ketri Leis wanted to make the type of drinking establishment they themselves would frequent. Peäske was quick to point out that Pazzo is not strictly a natural wine bar. First of all, since the term natural wine is a bit hazy and unclear, it is often frowned upon by some sommeliers. 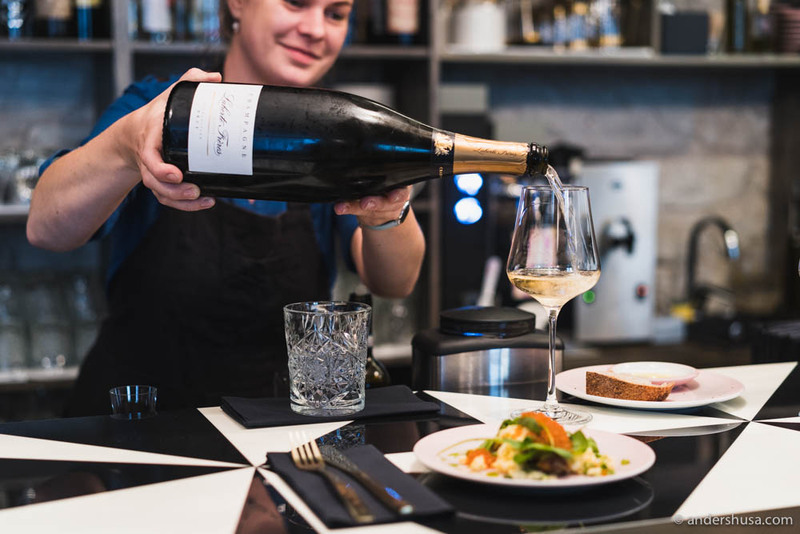 A lot of the wines at Pazzo are what you would normally characterize as natural, though, due to a close cooperation with the Italian wine importer Vino Nostrum who works closely with small Italian producers. However, Pazzo definitely serves conventional wines as well, especially from the Burgundy and Bordeaux districts. 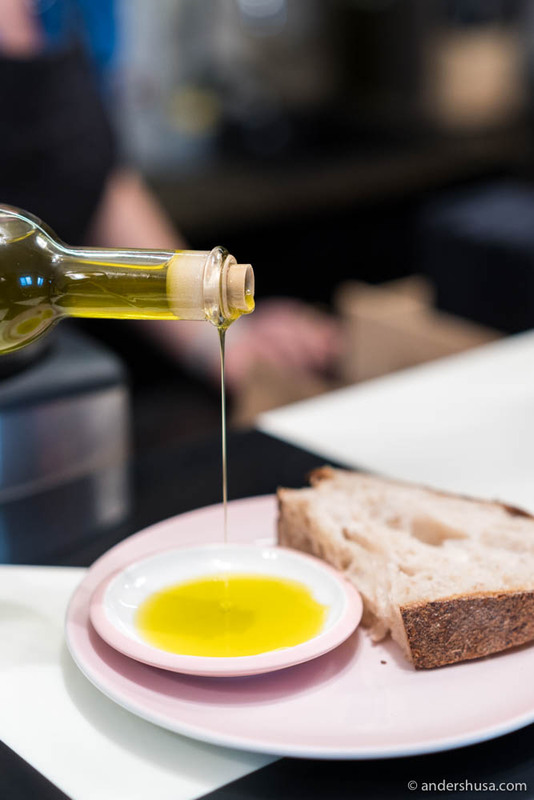 The food concept at Pazzo is based around tapas-style sharing platters. Head chef Janno Lepik cooked up three small plates for me to taste (both my time and appetite were limited since I had another appointment this evening as well). 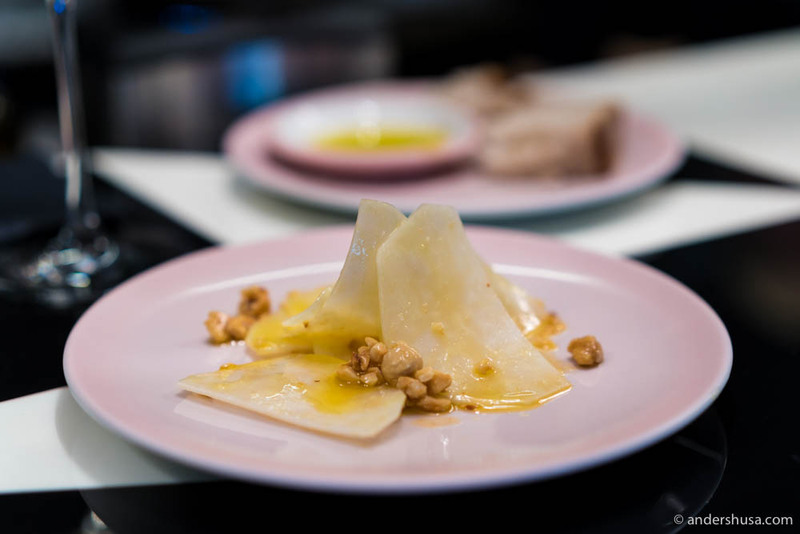 The first course was a plate of kohlrabi, relatively thinly sliced, with hazelnuts and rapeseed oil. I loved the idea of this dish, but it was literally screaming for some brown butter instead of that neutral-tasting oil. I loved the flavors of the potato dish that came with scrambled egg, trout roe, greens, and mustard mayo, but not so much the presentation. The scrambled eggs were too dominant on the plate. 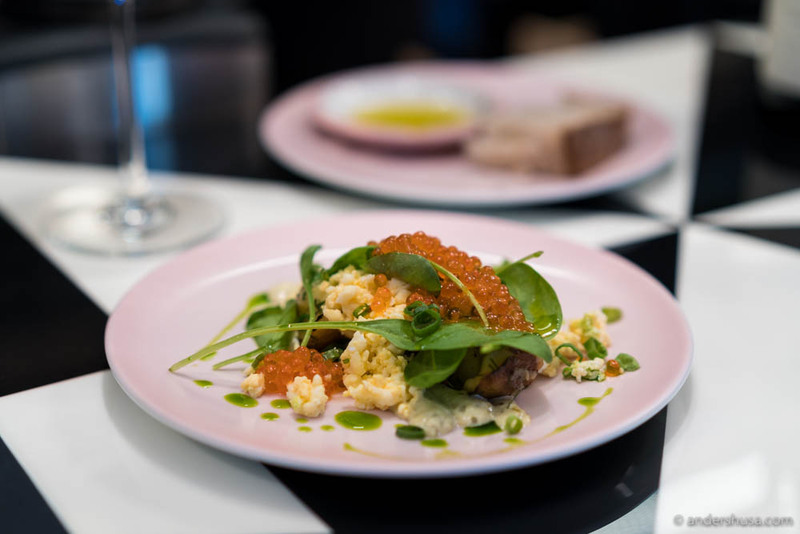 Estonians really have a thing for trout roe, which I feel can get too much sometimes, but here they were balanced quite well by the other elements. 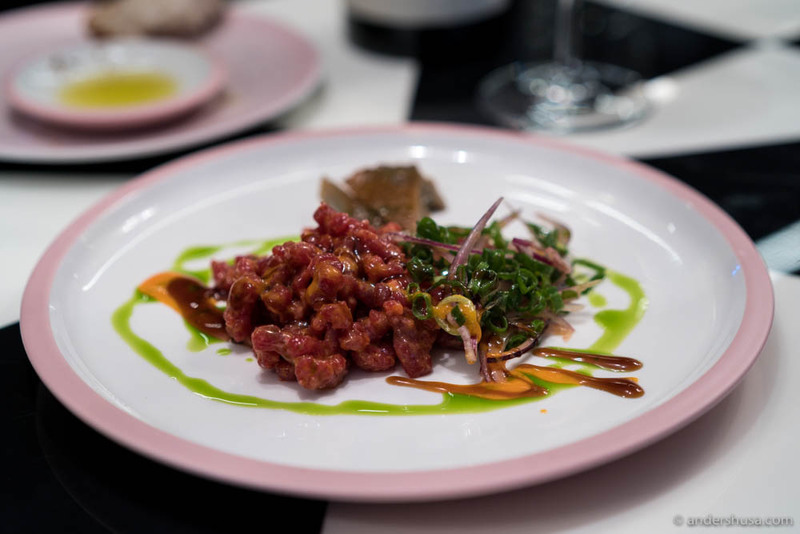 The final course was a beef tartare with hoisin and sriracha. Great flavors that combined well (a favorite topping that I often use personally when cooking as well), and good quality meat. What’s not to love? I hope to return to Pazzo shortly! What’s your favorite hangout in Tallinn? Please share in a comment below.